✔ HEMP SEED ► Supports normal healthy brain activity and nerve function. ✔ OMEGA 3 FATTY ACIDS ► From hemp seed and salmon to support healthy cognitive function and regular disposition. ✔ L-THEANINE ► Helps promote relaxation. ✔ CALMING HERBS ► Extracts of chamomile and lemon balm help maintain normal emotional balance. 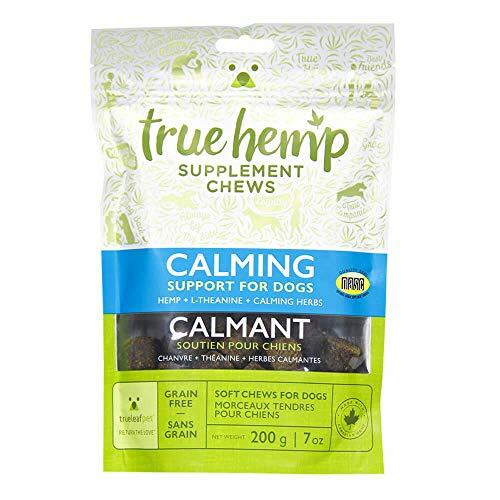 If you have any questions about this product by True Leaf Pet, contact us by completing and submitting the form below. If you are looking for a specif part number, please include it with your message.